Broad YARA Support: Add your own YARA rules and/or automatically clone them from third-party repos. Both the PE and math modules are supported. Install Python3, pip3, virtualenv, and Terraform. If the installation encounters problems finding openssl.h, try export CFLAGS='-I/usr/local/opt/openssl/include' before the install. In order to receive YARA match alerts, you must manually subscribe to the generated SNS topics. 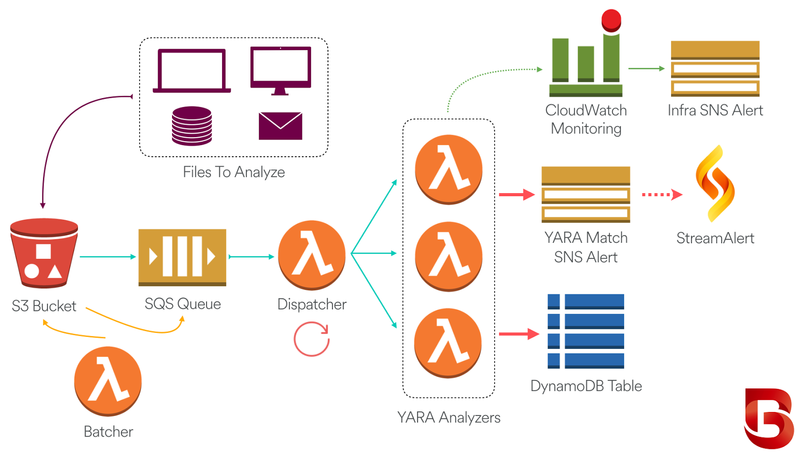 Go to the SNS console and add a subscription to the *_binaryalert_yara_match_alerts topic (which receives YARA match alerts) and the *_binaryalert_metric_alarms topic (which receives CloudWatch alerts if the service is down). SNS supports a variety of subscription endpoints, including email and SMS. SNS subscriptions must be confirmed by the destination, which is why this step can't be automated by Terraform. That's it! Now any file you upload to the BinaryAlert S3 bucket will automatically trigger YARA analysis and you can rest easier knowing that your files are safe. 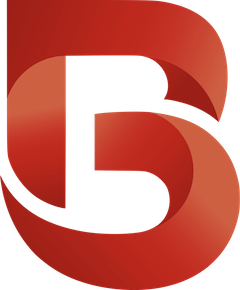 For simplicity, BinaryAlert management commands are bundled together in manage.py. YARA rules are stored in the rules/ folder. See rules/README.md for more information about adding and updating YARA rules. lambda_functions: Source code for each BinaryAlert Lambda function. rules: Collection of public and private YARA rules. terraform: AWS infrastructure represented as Terraform configuration files. tests: Unit tests amd mocks.